Introducing Scentco Scented Stationery from DKL - The hottest new stationery around. Just imagine delicious scents paired with bright and exciting designs. 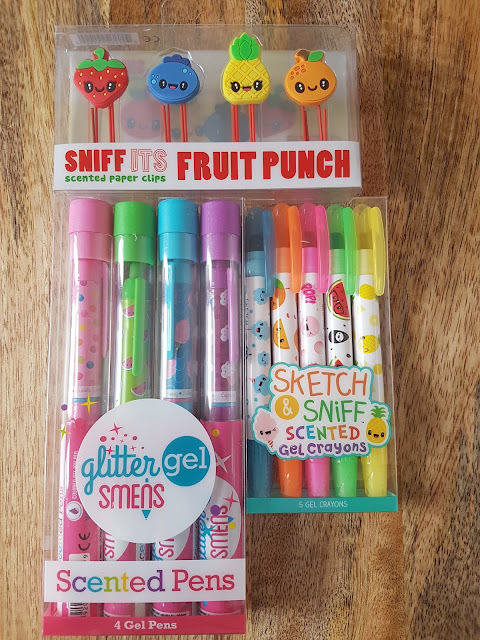 Smelly pens, pencils, markers, pencils cases and more. Not only do they smell delicious but they look great too. They're set to be an instant hit with kids this year making them the perfect back to school treats. As well as their addictive smells and fun packaging, Scentco products are all eco-friendly with bio-degradable plastic and recycled newspapers used to create each product. 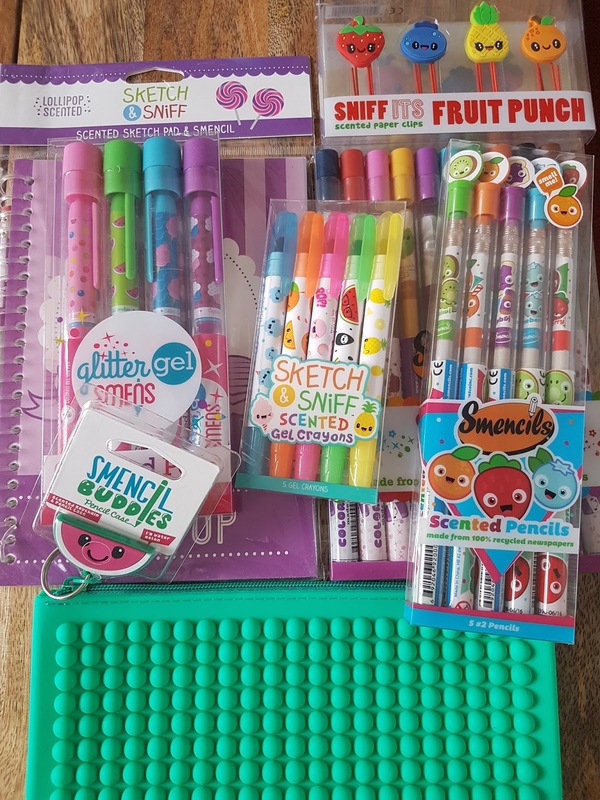 We were sent an exciting bundle of Scentco scented stationery to try out and first off I do have to say, it's got to have been one of the best smelling parcels I have ever received. Lily will be going into Year 6, her final year of Infant School in September and Ryan will be heading into Year 3. They're both huge stationery addicts just like their Mum which is where Scentco will really come in handy. When they smell do good, they'll never forget to take them with them again. 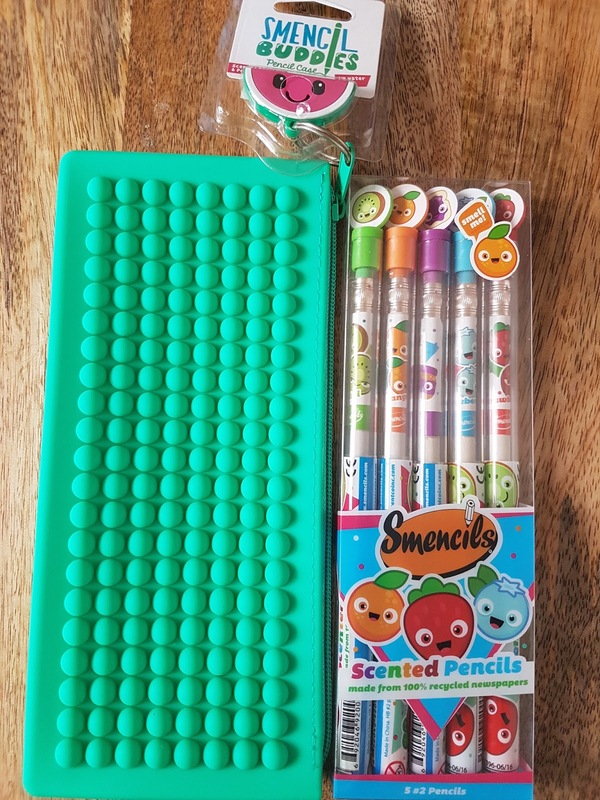 Scentco is stationery that children will actually want to use. They are so excited about these and cannot wait to go back to school to show all their friends. The Lollipop Scented Sketch n' Sniff Pad and Smencil set is very cute. 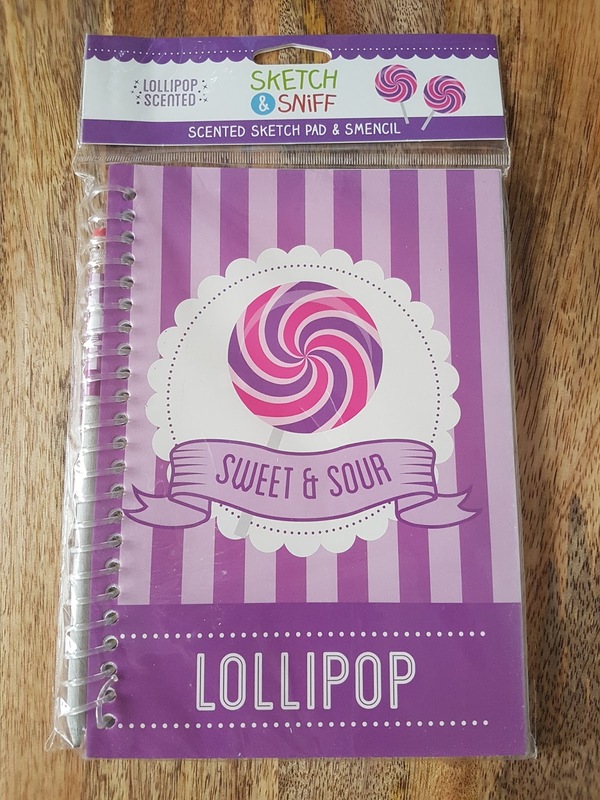 It's an A5 notepad that comes with a scented pencil too. It's a lovely little set. It's pretty and smells lovely too. Smencil Buddies are their wonderful pencil cases which are perfect for carrying your whole Scentco collection. You can choose from 4 designs: Watermelon, Rainbow Sherbert, Jelly Doughnut and Cupcake. We have the Watermelon one which smells delicious and feels fab. 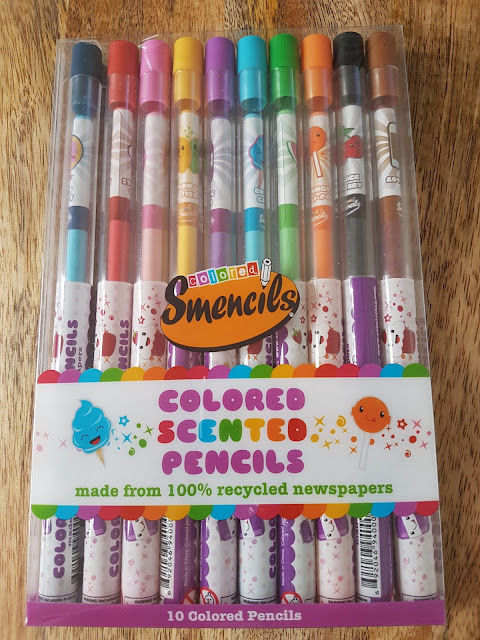 The Graphite Smencils are their scented pencils which come in a pack of 5 different scents. 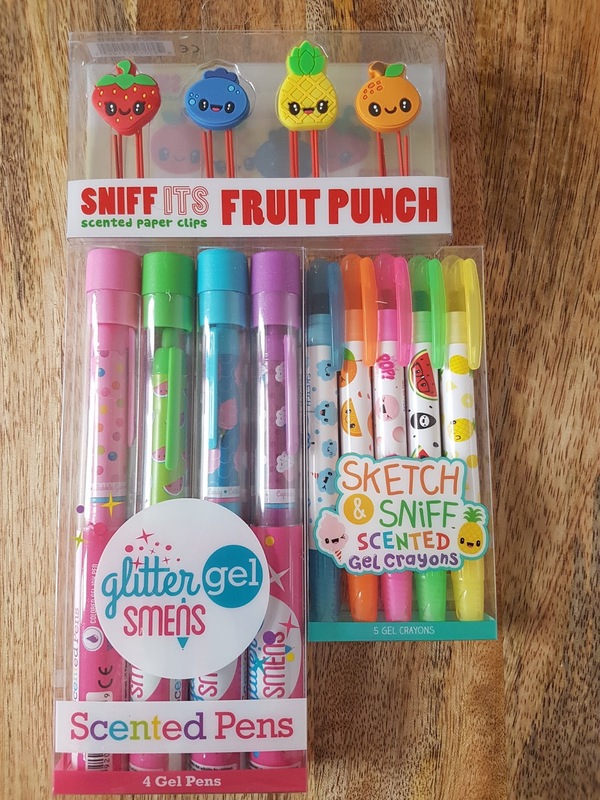 There's a 4 pack of Gel pens called Glitter Smens, a pack of 5 Gel crayons called Sketch & Sniff Scented Gel crayons and a rather cute pack of Sniff It's Fruit Punch, paper clips. Last but not least is the Coloured Scented Pencils which come in a pack of 10 scents. Please be aware that even though they all smell 'good enough to eat' they are not edible and should not be eaten or put in your mouth. They are for smelling pleasures only. Each Scentco product has a two year scent gaurentee and each has it's own gourmet scent. Lily and Ryan love the new Scentco Stationery range and give all the products a huge thumbs up. They love the bright colours, silly designs and names and delicious smells. Disclosure: We received our Scentco stationery in return for an honest review. A Taste Of Porto - Rump Steak in Port Wine Sauce.